The 2000s were rough years for the Lynn Museum & Historical Society, which exists to preserve four centuries of Lynn, Mass., history. Nagging debts and deficits drove the society to sell its building and rent space. Then markets crashed and essential revenue from what had been a $1.5 million endowment plunged 30 percent. Whether the museum would survive or be forced to adopt a radically new form were open questions -- but not unlike those faced by many a religious congregation that can no longer count on yesteryear’s funding streams to cover steep overhead costs or sustain legacy ministries. For two years, directors in Lynn hunkered down to ride out the storm. A five-person staff was cut to two. Would-be visitors found doors locked several days a week. Cash-strapped local schools stopped bringing kids on regular field trips. The future seemed less bright than the past. But the trajectory has changed, as directors have taken steps to find new funding streams and reinvigorate the institution. Visiting exhibits now bring in newcomers. Space is growing through renovations and the purchase of an adjacent downtown building. An operating deficit could be retired as soon as this year, according to Executive Director Kate Luchini. The museum is not out of the woods yet. The challenge of replacing long-gone grant funding continues. Yet the Lynn Museum has learned how to be a sustainable institution in a new economic and cultural landscape. That makes one of several in this region that offer important, potentially transferable insights for religious organizations in need of fresh ways of looking at their own challenges. The Lynn Museum’s turnaround is rare in a time when, according to the National Endowment for the Arts, museum visitation nationwide has seen two decades of decline. But it’s not unusual for Boston’s North Shore, where small local museums that cover the map from Chelsea to Salisbury have been steadily increasing visitation numbers and revenues in recent years. The national trend points downward because the challenges facing museums are real, Shea said. Grants, which had been staples of local museum support, have become far less dependable in an age of belt-tightening inside governments and foundations. What’s more, museums are finding less public interest in their traditional niche as authoritative keepers of keys to the past. People increasingly turn to the Internet for information, Shea said, and don’t put much stock in inherited institutional authority. To stay relevant, she said, museums are scrambling to leverage their cachet as trusted organizations while creating interactive spaces where visitors can build their own interpretations. Those north of Boston are rising to the challenge, in her view, by taking advantage of trends and local resources. Rather than relying almost entirely on volunteers as they did in decades past, they’re riding a wave of museum industry professionalization. They’re hiring locally trained pros who bring modern best practices to bear. They’re also doing more to shore up support from natural constituencies in a region that cherishes small local institutions, from schools to nonprofit charities. And they’re tapping into topics of public conversation. “There’s a recognition that what drives the institution must take into account what drives the public imagination, and that’s always changing,” Shea said. She noted how institutions with historic ties to the land are hosting timely events to explore food security issues and climate change. Such events leverage the institutions’ brands in ways that resonate with the general public. They’re also sharing documents and templates so that museums benefit from one another’s research. To hear local museums tell it, success has meant forgoing the temptations of continual budget cutting and service reduction. They’ve instead made strategic investments, largely by redeploying assets and holding total operating expenses steady. Such strategies have produced new support and revenue streams that have delivered sustainability, despite slow economic growth and major cultural shifts. The Custom House Maritime Museum in Newburyport, Mass., faced daunting challenges in the 2000s. A devastating flood in 2006 forced the museum to close for a year. It reopened with trimmed, seasonal hours that satisfied tourists but weren’t adequate to cover operating costs. Volunteers ran almost everything; one paid employee opened the building and handled basic administration. Static exhibits gave no one a reason to visit more than once every couple of years. The Custom House could have fizzled out, but it didn’t. Instead, directors successfully looked beyond the grant-making sector that had been their bread and butter and cultivated a new base of support among local residents. Consultants in 2009 helped clarify the museum’s mission “to protect, preserve and interpret the maritime heritage of the lower Merrimack Valley” and devise supporting strategies. By 2010, the board of directors resolved to give potential visitors -- especially locals who value Newburyport’s role in American history -- solid reasons to become members, visit several times a year and donate. Rather than keep cutting costs, Custom House directors decided to reallocate spending in order to boost visitation and showcase the museum’s abilities. They swapped out their clerical position for an executive director position that would initially pay the same amount but gradually increase with museum revenues. After a rare grant came through for much-needed building repairs, more funds could be diverted from building maintenance to rotating exhibits. is vital to the Custom House's success. 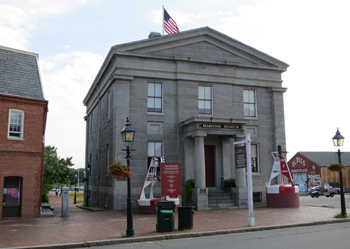 Now open year-round, the Custom House steadily draws locals by offering four or five exhibits a year. 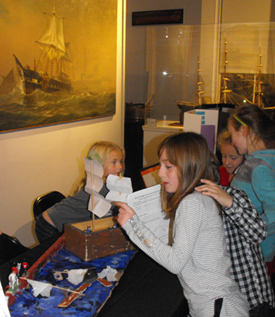 Families become aware of the museum through field trips, including annual visits from more than 500 third-graders, who combine a stop at the museum with other activities in Newburyport. Visitation has nearly tripled, from 8,500 in 2011 to 22,300 in 2013, as neighbors as well as tourists have found more reasons to stop by and see what’s new. In addition, the Custom House discovered value waiting in the wings in the form of student interns. They come from multiple colleges and universities, including top graduate programs in museum studies at Harvard and Tufts. The Custom House offers them something valuable that they wouldn’t get at larger museums: an opportunity to design and curate their own exhibits. In return, students bring the latest know-how and a professional touch. The Lynn Museum found its legs in a similar fashion. The directors’ resolve to replace -- rather than merely hope to revive -- past grant funding meant redeploying assets to generate new revenue and cultivate closer ties with potentially supportive local constituencies. Board members recognized their mission, at its essential core, as one of preserving Lynn history through its artifacts, from a 17th-century ledger to 20th-century shoe-manufacturing tools. Honoring this mission, according to board member Joe Scanlon, would involve protecting what is now a $1 million endowment and shoring up ties with the museum’s most natural constituency: the people of Lynn. That would involve nurturing new partnerships. It would also mean redirecting assets to make its space both compelling to visit and rentable to local organizations. Lynn Museum staff positions were redefined to encompass more skills under one role. A new director would also be a curator; an assistant director would also pursue grants and new revenue streams. Thus, total staffing levels are almost the same as they were in austere 2008, but now the museum gets more return on investment for its expenditures on personnel. The museum began selling its expertise to the City of Lynn in the form of consulting services to develop a downtown cultural district. It also leveraged a matching grant from the Massachusetts Cultural Council to do extensive renovations, which accommodate not only more exhibits but also more rentals for corporate functions, weddings and other events. Now rentals account for some 20 percent of revenues. Event rentals provide essential income at more and more Boston-area museums as they learn how rentals can complement their missions. The Peabody Historical Society & Museum, for instance, covers 80 percent of its $400,000 budget by renting just one of its eight historic buildings. 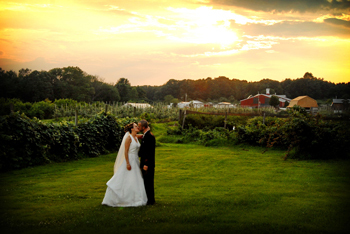 The cash cow is the Smith Barn, a popular site for weddings and smaller functions. When directors realized that the barn was in demand, they invested in propane heat and the renovation of an anteroom for events. Both projects quickly paid for themselves and expanded the budget. Smith Barn revenue underwrites major mission-related initiatives, such as the relocation and restoration of a significant 1840s-vintage home donated to the historical society. And with 90 weddings planned for the barn this year, thousands of guests will be on-site, which helps bring visibility to the society’s adjacent properties and its mission. “I’m sure there are some people who may attend a wedding there, who happen to be Peabody residents, and their eyes are opened as to what a great place we have and all the benefits of preserving this natural space,” said board member and treasurer Tom Zellen. Six years after the start of the recession, the evaporation of traditional grant funding hasn’t destroyed small Boston-area museums. On the contrary, it’s galvanized them to reinvest in core missions, cultivate a variety of new revenue streams and shore up relationships with natural, local constituencies. They still face challenges, but they’re meeting them with more resources and local partners in their corners. Rising visitor numbers and stronger bottom lines suggest they’ve found some promising paths forward. Congregations can learn from museums’ experiences, Shea says, since both are trying to sustain missions with fewer dollars and fewer members than in years past. She suggests churches could do more to leverage their brands, perhaps as stewards or consciences of communities, to provide spaces where neighbors explore – in depth and in dialogue with theological traditions – what matters to them today. Shea acknowledges the museum model doesn’t translate perfectly to churches, which have particular theologies guiding what they can and should do. But they can do what museums have done in terms of taking stock of their resources and asking: how might these be redeployed to better advance our mission? What practical strategies are helping small museums near Boston to reinvent themselves? How do these strategies relate to what churches or other organizations might do to survive and thrive? In what ways does your church or organization “take into account what drives the public imagination”? What does your organization “leverage” concerning its “brand”? What mindset did these museums need in order to invest in the future?